It was in autumn 2011, when I came to Germany for my Master’s degree. There were many reasons why I chose Germany as my next academic destination. First, Germany being one of the strongest economic pillars of Europe and second was to work in a dynamic and a challenging environment which could enable me to learn and work outside my comfort zone. Moreover, Germany kept on giving me different opportunities to fulfill my expectations and to even live beyond them. I believe if there is any country which people love stereotyping, it’s Germany. All of us at some point or the other have made cliché’s about Germans. From their punctuality, to their love for sausages and schnitzel, to how German language sounds like to all the foreigners, all these matters were always touched upon. However, there was one thing which was never much emphasized on, which was their love for football and “beer”. Well, I got my first proof at Oktoberfest. It was the first time when I saw 1000’s of people dancing on the tables with a huge glasses of beer. That was a huge cultural shock for me. Slowly as I spent some time studying, learning and growing here, I saw beer everywhere. People buying more beer than water from the supermarket, huge beer gardens filled with people enjoying their time drinking beer under the sun and so on. Now after being lived in this amazing country for almost 2 years, I have realized how incomplete German culture is without beer. Back then I would have never imagined myself working for a beer company. 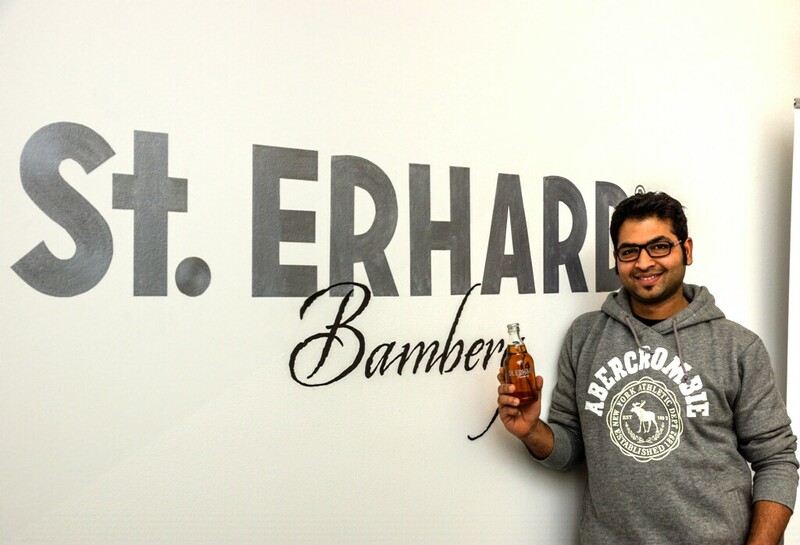 But now it feels great to be a part of St. ERHARD, one of the first German beer companies which has entered the Indian beer market with the vision of delivering a true enriching experience across borders. Probably, being the only Indian working for a German beer brand and facilitating this cultural exchange between the two countries leaves me with the feeling that I am doing something really unique.